Probably the most used natural product, green tea works by improving your metabolic rate and making the digestion process easier for you. Green tea can be made from a number of different combinations depending on your taste and choice. Usually cinnamon, lemon grass and a number of other natural herbs are used to make the tea. Some people also add lemon and a small quantity of honey to give the tea some flavor. It is usually recommended to have a cup of green tea after every meal especially after dinner, however the best thing about this kind of tea is that you can have as much as you want since it does not have any saturated fats that make you fat. Having green tea on regular bases can help you lose weight in 15 days to almost a month. A very strong herbal product, aloe is found in almost all the quick weight loss products available in the market. It is considered an internal cleanser since it improves the digestion process and reduces constipation related problems. However, it is also recommended that people who have stomach related problems (ulcers, diarrhea, abdominal pains etc) should not try aloe as a natural herb for weight loss since it is too strong and may damage the internal lining of the stomach in case of already existing ulcers. Not only is Fish Oil a great means of reducing weight, fish oils are also very high in minerals and other nutrients necessary to keep the body healthy and working. Fish oil is available both in liquid form and as capsules that work on the principle of changing the way your body manages and burns fats. It forces the body to burn fats as they come rather than storing it and so you start losing weight even without following a proper diet plan. However, you must know that fish oils may also increase your hunger; it is up to you how to distract yourself when you feel hungry after having fish oils. 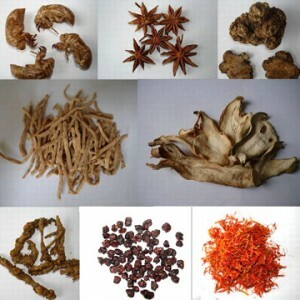 The extracts from Reishi mushrooms are amongst the best natural herbs for weight loss; used mostly in Chinese herbal weight loss treatment, Reishi mushrooms work by reducing the fatigue from your body and thus allowing you to work out for a number of hours. However, make sure that you initially start with a small dosage.